"Something quite original in the world of jazz and beyond." 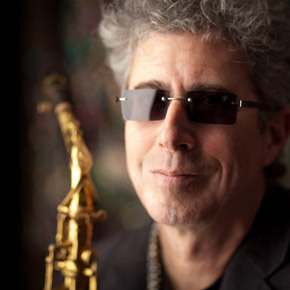 Ken Field is a composer, saxophonist, flautist, and percussionist. He has received international public and critical acclaim for his solo work, his work with the Revolutionary Snake Ensemble (which he leads), Birdsongs of the Mesozoic, Willie Loco Alexander's Persistence of Memory Orchestra, and the Armenian/American jazz project Musaner, as well as his commissioned compositions and performances with Bridgman/Packer Dance. Field has composed a number of pieces for the children's television program Sesame Street. Field was named a 2017 Finalist in Music Composition by the Massachusetts Cultural Council. The Revolutionary Snake Ensemble's third CD Live Snakes (Accurate Records) was an Editor's Pick in Downbeat, and Offbeat Magazine (New Orleans) called it "A stone cold killer diller!"